In Devastation and Laughter, Annie Gérin (CELAT) explores the use of satire in the visual arts, the circus, theatre, and cinema under Lenin and Stalin. 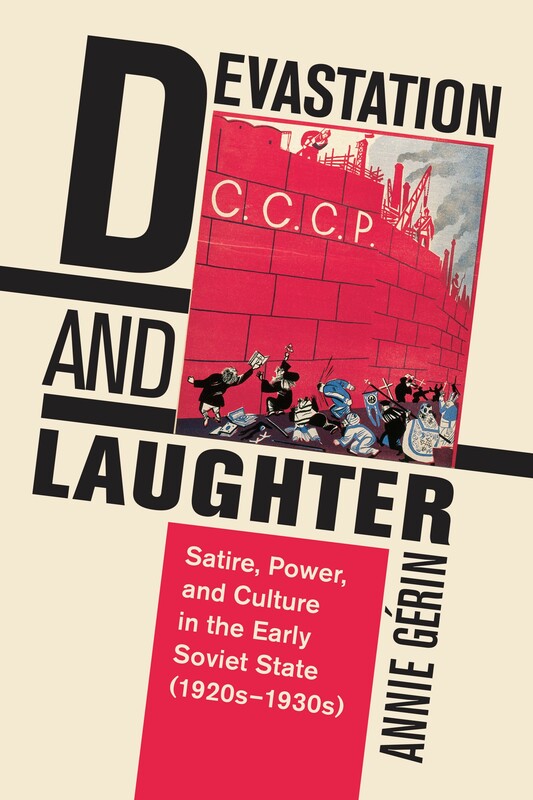 Gérin traces the rise and decline of the genre and argues that the use of satire in official Soviet art and propaganda was neither marginal nor un-theorized. The author sheds light on the theoretical texts written in the 1920s and 1930s by Anatoly Lunacharsky, the Soviet Commissar of Enlightenment, and the impact his writings had on satirists. While the Avant-Garde and Socialist Realism were necessarily forward-looking and utopian, satire afforded artists the means to examine critically past and present subjects, themes, and practice. Devastation and Laughter is the first work to bring Soviet theoretical writings on the use of satire to the attention of scholars outside of Russia. By introducing important bodies of work that have largely been overlooked in the fields of art history, film and theatre history, Annie Gérin provides a nuanced and alternative reading of early Soviet art.